Uber’s low-cost ride sharing program UberX launched in Philadelphia this weekend, but not without attracting the ire of the notorious Philadelphia Parking Authority. The agency claims UberX is operating illegally within the city, and has threatened to shut the service down. Despite these threats, those looking for UberX rides in Philly will be hard pressed to find one. Uber ran a promotion for free rides up to $20 through the service to celebrate its launch, and through much of the weekend UberX showed no cars available. UberX has been available in the Philadelphia suburbs for several months now, but its debut in the city itself was delayed due to questions of legality under city statutes. Uber changed its tune late last week however after insurer First Keystone Risk Retention Group, Inc. went bankrupt, leaving as much as a quarter of the city’s 1,600 taxis and limos without valid insurance. Drivers of these cabs will have until Tuesday or Wednesday to obtain new insurance before being forced to park, PPA legal counsel says. Some taxi owners are fighting back though, claiming they’re covered for another 30 days despite the bankruptcy. That placed the PPA in an odd spot when fighting back against Uber. 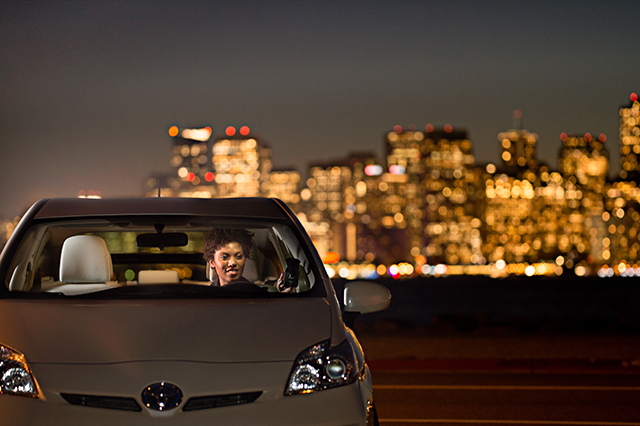 "Public needs to know UberX drivers may not be licensed and cars may not be insured. Criminal background checks also in question," it wrote in a tweet on Saturday. Uber shot back, noting that UberX drivers and passengers are protected under Uber’s $1 million insurance policy, which the company pointed out is 28 times more than what is required for PPA-backed taxis. It also pointed out that its background check policy is far more stringent. It claims that about 100 of the city’s PPA-sanctioned drivers would fail Uber’s background checks if they had applied. Regardless of Uber’s claims, the PPA will impound any vehicle found to be driving for the UberX service, it says. In addition, both the driver and Uber will be fined $1,000 a piece. As of Sunday, five cars had been impounded through an undercover "sting" operation according to local media reports. It was not clear what Uber is doing for drivers affected by PPA’s enforcement operations. It does seem likely though that UberX will end up meeting a similar fate as SideCar, which also tried unsuccessfully to launch in the city last year. There too, the PPA impounded cars and issued fines claiming the service was illegal and that drivers lacked proper insurance. Three drivers were busted, and according to at least one media report drivers were instructed by SideCar itself to drop passengers off immediately and refuse service to any further passengers during that weekend. SideCar no longer operates in the city.